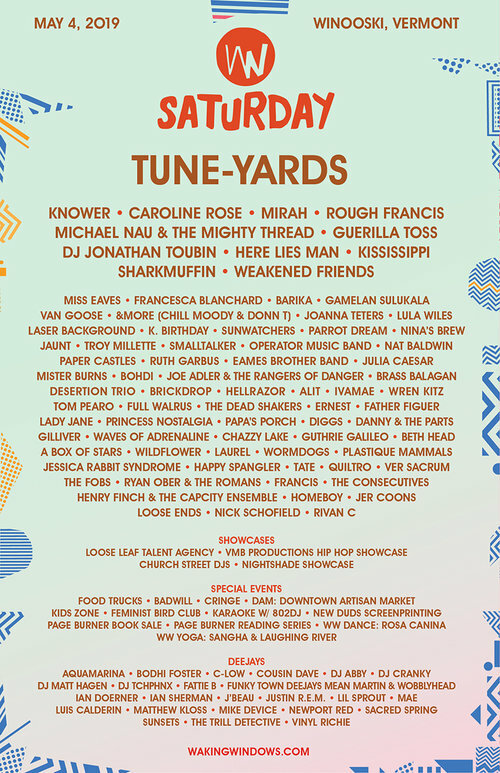 The Vermont portion of Waking Windows Festival is upon us May 3-5th featuring live concerts, art markets, readings and so much more all in downtown Winooski, a real gem of a place. 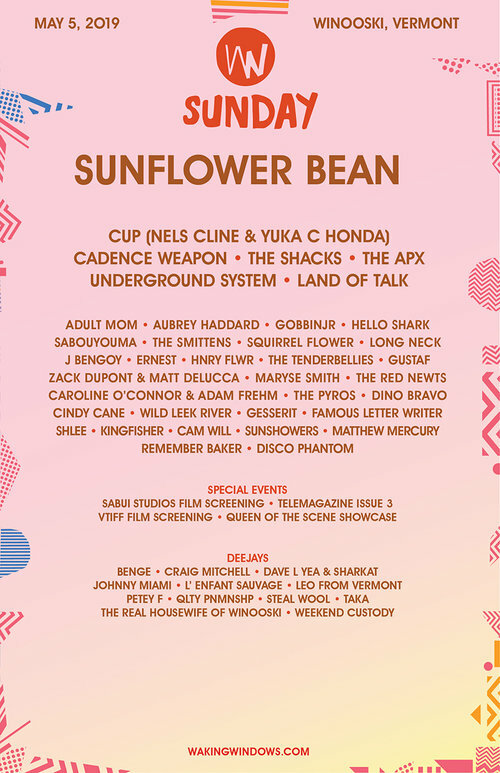 One of New England’s best DIY and independent music festivals, Waking Windows is in its 9th and still wowing audiences with its array of world class performers featured in intimate indoor venues and outdoor city takeovers. If you’ve never been before, this is a New England experience not to be missed. 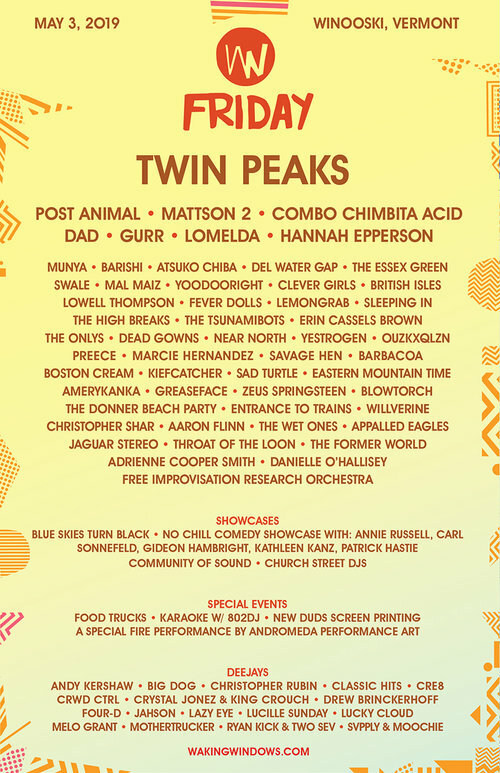 To enter ticket giveaway for 2 weekend passes for the 2019 Waking Windows Festival in Winooski May 3-5th, email: music-intern@brain-arts.org and the winner will be chosen at random. Please email us your name and instagram handle’s if you prefer. The winner will be chosen after a 72 hour deadline at 2:00pm April 11th.